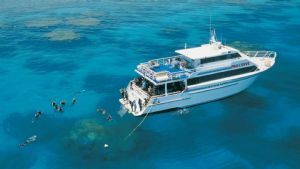 4 Night Dive and Fly Trip Ideal for Advanced Divers looking for adventure liveaboard diving on the Great Barrier Reef and Coral Sea, Australia. Appeals to advanced divers who are chasing clear water, plummeting walls and amazing shark action. Features an exciting shark feed dive. Divers should be comfortable in exposed sea conditions on deep walls. 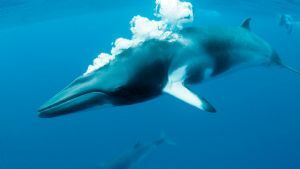 Every Monday, Spirit of Freedoms departs from Cairns on a great diving adventure. 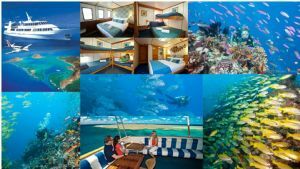 Learn more about this 3 Day/3 Night itinerary which offers diving along the Ribbon Reefs and finishes diving off Lizard Island. This itinerary can also include diving the world renown Cod Hole (Tide dependent). 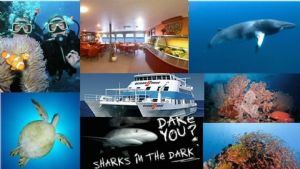 Want to experience an amazing Shark Feed Dive and the exhilaration of diving along the walls of Osprey Reef out in the Coral Sea, then this is the trip for you. 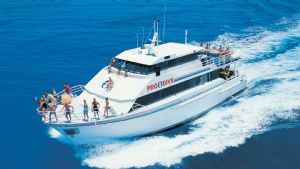 This popular Coral Sea itinerary departs on Thursdays from Lizard Island and the package price includes the one way flight from Cairns, along the Ribbon Reefs (Great Barrier Reef), before landing on Lizard Island. 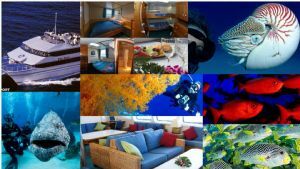 Time poor, why not consider a 2 Day/1 Night Outer Reef Trip on MV Ocean Quest. For the certified diver, there is the opportunity to participate in a night dive. Of course snorkellers are well catered for and for anyone who has no prior experience for diving, there is a package which includes 5 prebooked Introductory Dives. 3 night - Fly Dive Cod Hole. Sensational diving within the Great Barrier Reef Marine Park. Appeals to the broadest section of divers from beginners to mad keen photographers and snorkellers.